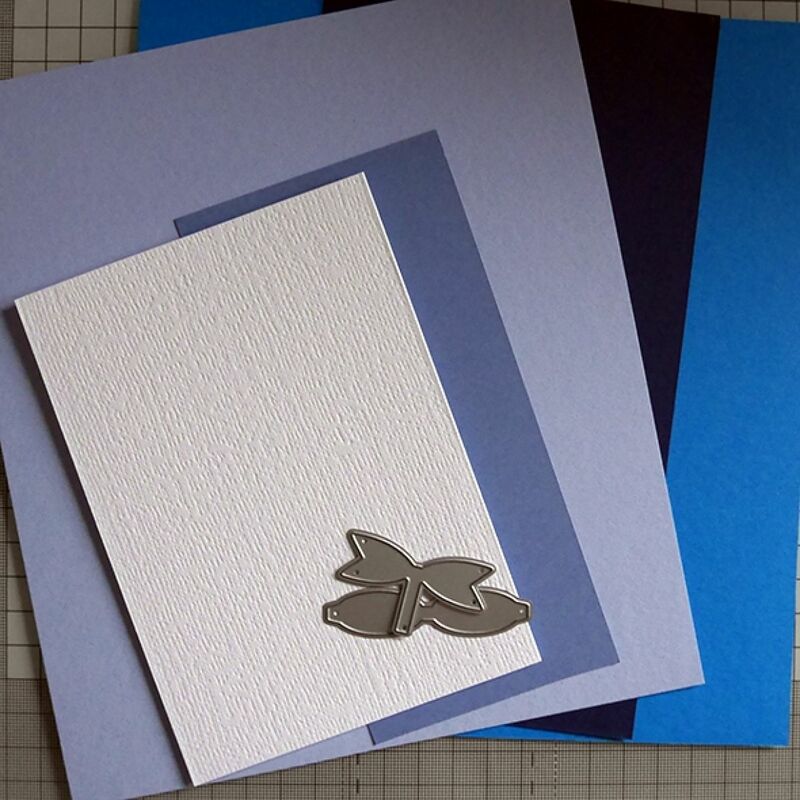 I gathered a selection of Papermilldirect blues that worked together as a gradient of blues. 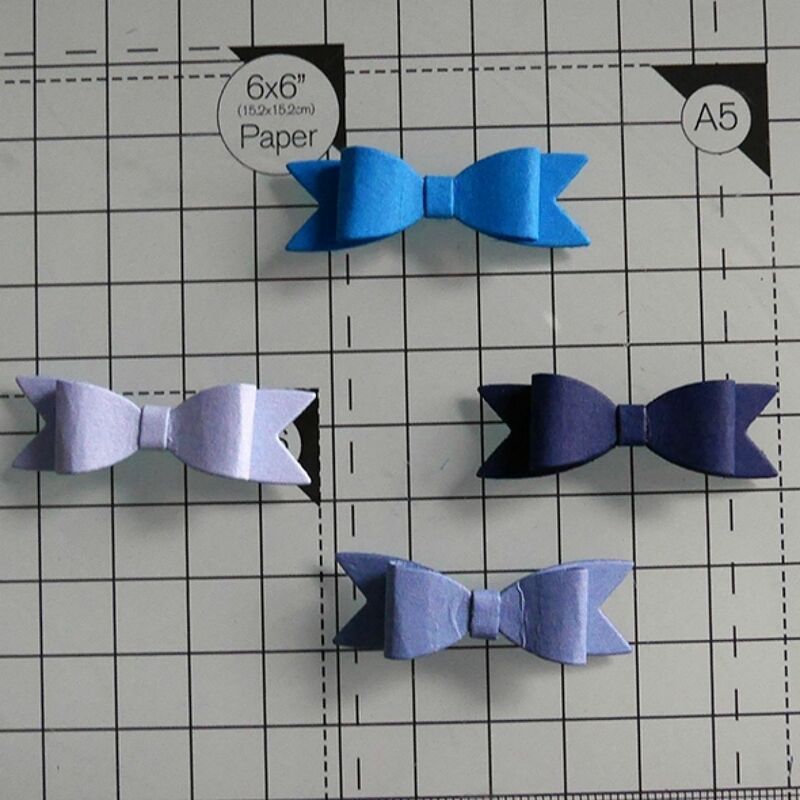 I cut a bow tie out from each of these using a little bow tie die. I don't know the brand as this was in a little package as a gift from a friend, but there are plenty of brands out there who do dies like this. 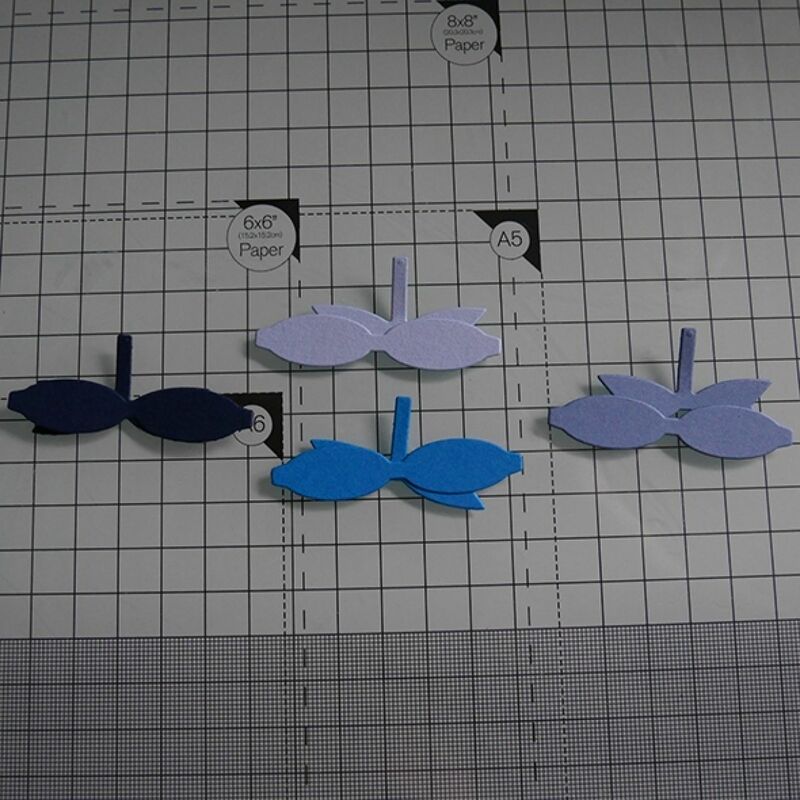 There are also lots of trace and cut your own templates for making these too. 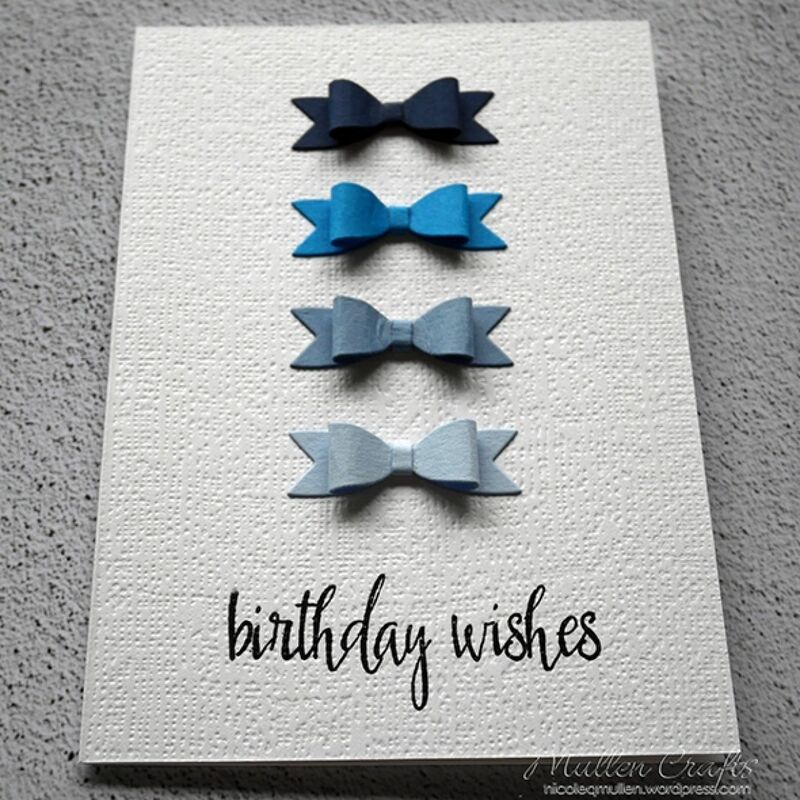 Once I had the bow ties made, I stamped my sentiment directly onto the card base. Because the card base is the Hemp texture I needed to repeat stamp it to get a good impression. 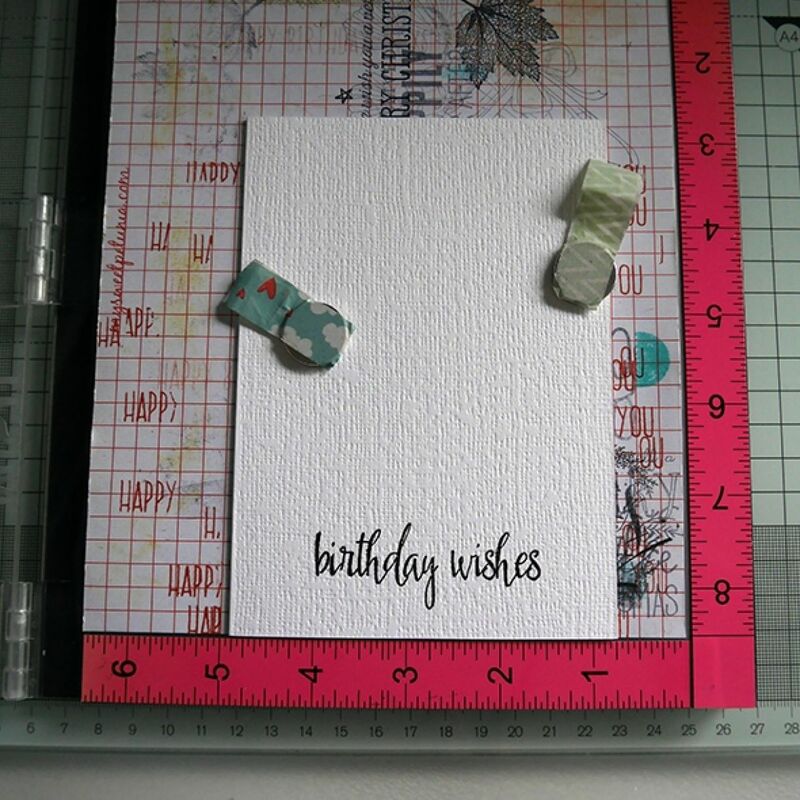 I used my MISTI for this, but you can use any stamp positioner for this. If you don't think you can repeat stamp effectively you might have to stamp the sentiment on a slip of smooth card and adhere it to the card base. Once this was stamped (and dry!) I used my work mat grid lines to help me position the card base straight, and then glued down the bow ties directly onto the card base. That was the card completed then! 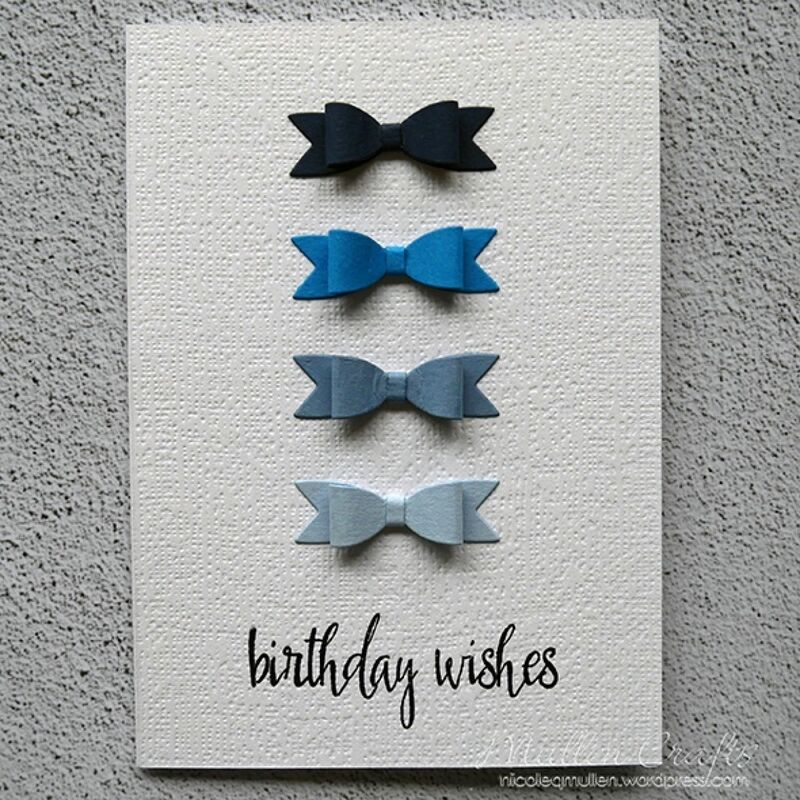 The bow ties are a little fiddly to assemble, but other than that, a nice, simple and easy card to add to the stash for a mans birthday that is nice and striking and looks very effective. You could of course add as many layers to it as you wanted, but again, I like the clean and simple look of this one! 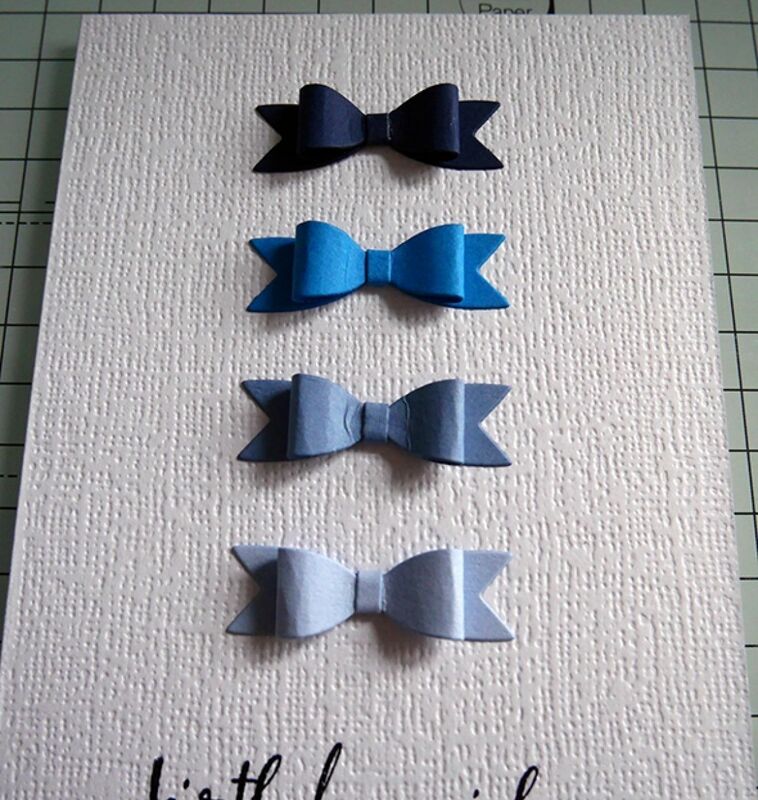 Love the simplicity and effe ct I've card with the bow ties. The other sample cards show what can be achieved with goodc quality cards etc.